Last week, my colleague dispensed with some myths about cigars. This week, I’m taking a torch to some whiskey myths and offering my best advice for enjoying whiskey. Only a few years ago, I would easily say that, when it comes to value, bourbon and rye were a far better bargain than single malt scotch. I hate to say it, but that’s no longer the case. With rising prices and vanishing age statements prompted by high demand, American whiskey is no longer full of great value. Single malt has started to catch up to demand, at least at the entry level, but bourbon is a few years behind. Yes, you can still get a very decent, drinkable bottle for around $20, but if truly great value is what you seek, you are better off trying aged rum. Want to improve your whiskey drinking experience? There are lots of silly gadgets out there. Whiskey stones, for example, don’t work all that well; I’m convinced people like them because they look cool. However, one whiskey accessory well worth the investment is a proper glass. There are quite a few specially-made glasses, and anything relatively small in size with a shape that concentrates aromas on the nose will work. My favorite, and the standard, is the Glencairn. There are some circles where adding anything more than a drop of pure spring water is sacrilege. On one hand, I mostly drink whiskey this way, and I do think you will get the truest sense of the spirit (the good and bad) by tasting neat. Still, never forget fine spirits are meant to be enjoyed, not merely sampled. So don’t be wasteful (for example, mixing Pappy Van Winkle with Coke). However, feel free to mix up a fine cocktail with a special whiskey or a few ice cubes if that’s how you’ll enjoy it the most. The type of people who hate on folks for enjoying their Booker’s with plenty of ice are they same folks who have a cabinet full of expensive bottles they collect and never drink. Speaking of Pappy, don’t go crazy searching for rare whiskey. 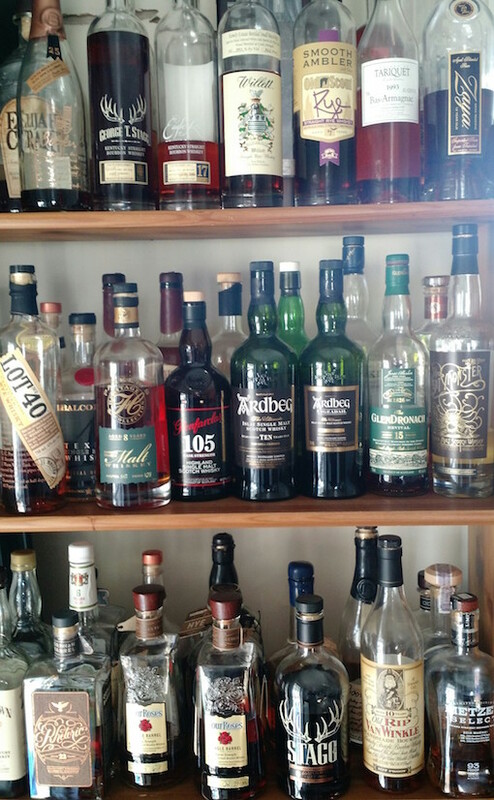 The days are over when you could walk into an out-of-the-way liquor store and potentially find a bottle of Pappy or another rare, sought-after bourbon at or below retail price. Compared to what you can get for $50, I don’t see how you can justify spending five, ten, or twenty times that based on drinking experience alone, and I’ve opened more than a few bottles that are regularly bought and sold for that much. When it comes to finding the rare bourbons, you can spend hours and hundreds of dollars hoping and searching with no guarantee. If you really want to try them, though, your best bet is to find a well-stocked bar and just buy an ounce or two (albeit at the inflated prices) so you can say you’ve tried them, then go back to your bottle of Blanton’s. We are long overdue for a whiskey tasting session, Patrick, and I agree with everything you say here. I’ve been excited to see the rise of bourbon, and the “craft” expressions, but it’s gotten a little out of hand. When the bourbon aisle is as long as the vodka aisle, I know we’ve reached a point of diminishing returns (and higher prices). I’m still excited to visit the Irish area, where a few new players have entered this dormant category. Teeling’s to me is the best new entrant, while there are some additional new guys at the lower price points to challenge Jameson’s dominance. Jameson seems to be overextending itself at this point, as I’ve seen a few oddball extensions that don’t seem to do much for me (e.g. Caskmates, Coopers Crow?) Either way, drink it how you like it – rocks, no rocks, ice ball, ice block, whatever. That’s what it’s there for – it shouldn’t be a chore. The stones are good for one drink and that’s about it if you’re trying to keep the liquid cool. Then you have to be sure not to swallow them or crack your teeth on the last sip.